Infinix Mobility Limited has launched another premium mobile phone, the Note 5 Smartphone, designed to bring cutting-edge technology to young generations. Tagged: ‘Beyond Intelligent’ the Smartphone, which operates on Android One from Google, was recently unveiled in Lagos. With Infinix Mobility joining the Android One programme, the Note 5 will bring young people together and empower them to become trendsetters. The ‘Beyond Intelligent’ Note 5 Smartphone is equipped with an amazing display, which provides users with superb viewing and entertainment experience with an Infinity 6.0’’FHD screen and an 18:9 screen ratio. The edge-to-edge screen also makes the device look stunning, both from a design and a technological perspective. Its long-lasting battery will provide 3 days on average usage with a 4500mAh battery, built with a 3A Fast Charge, which will keep users fully functional throughout the day. 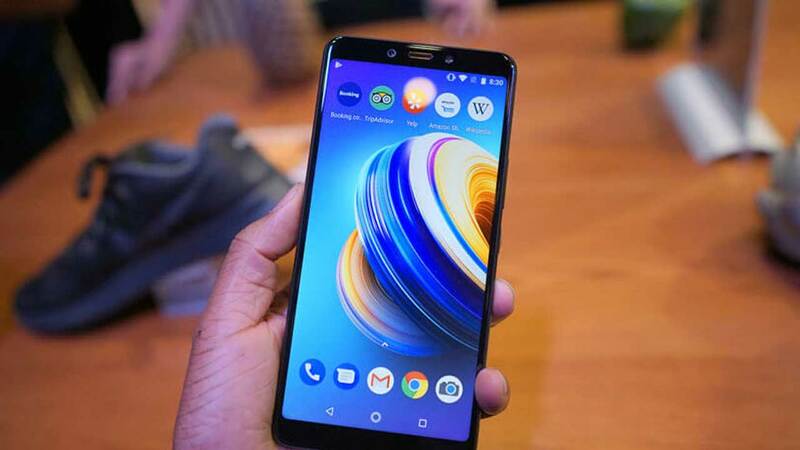 Managing Director, Transsion, the parent body of Infinix Mobility, Chidi Okonwo, said the smart phone came with unique features that enables users to do more with it, with better picture quality and latest selfie technology that is powered by Artificial Intelligence (AI) technology.